Ideally located on the beach of Nosy Kely, Palissandre Côte Ouest Resort & SPA welcomes you in the region of Menabe. Morondava capital Menabe will surprise you with the quality of reception of its inhabitants, the beautiful scenery, its hallucinatory sunsets over the sea or the Baobabs Alley. Boutique hotel rated 4 stars, Palissandre Côte Ouest Resort & SPA particularly careful construction by the choice of materials and decoration : rosewood, granite stone, toiture en mokotry, artisanat locale. 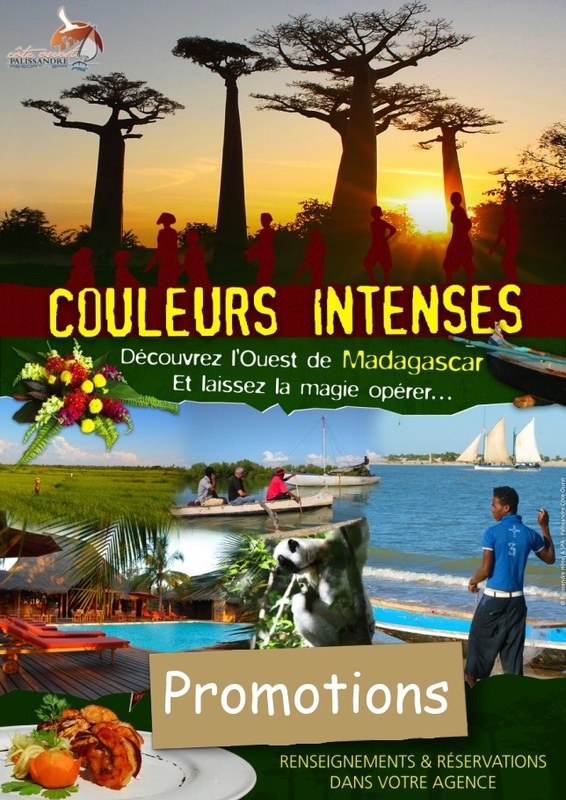 It combines comfort and refinement in pure Malagasy tradition.